Shabak reveals: Freed Shalit-deal terrorist led Hamas terror cell in Judea and Samaria. Arar was deported to the Gaza Strip as part of the "Shalit deal" and returned to terror-related activity. The other members of his cell were arrested for promoting terrorist attacks. Their arrests were a joint operation of the Shabak, the Israel Defense Forces and the police. 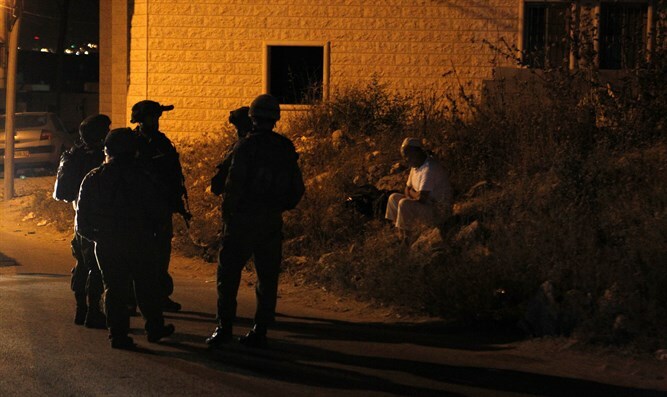 Investigators suspect Arar told Alaah Salim, a resident of the Jenin-area Arab town of Jaba', to create a terror cell and acquire an M16 rifle in order to carry out a terror attack as soon as possible. To further these goals, Arar gave Salim the necessary funds. Salim then turned to Rian Tuam, another Jaba' resident, asking his help in acquiring the M16 and giving him thousands of shekels. Salim also approached Shahada Tuam and asked his aid in enlisting additional terrorists. Shahada Tuam contacted Hamas terrorist Mahmoud Abu Arkov, a resident of the Jerusalem-area Arab town of Al-Ram. Arkov responded by agreeing to join Tuam's terror cell. The investigation is currently being handled by the military prosecution, which is examining the investigation's findings prior to filing an indictment. "Recently, there has been a marked rise in the motivation of Hamas officials to carry out terror attacks in Judea and Samaria. Israeli security forces will continue to work determinedly to foil Hamas' attempts to carry out terror attacks in Israel. We would like to clarify that any attacks carried out through Hamas aid will be considered the responsibility of Hamas in Gaza."